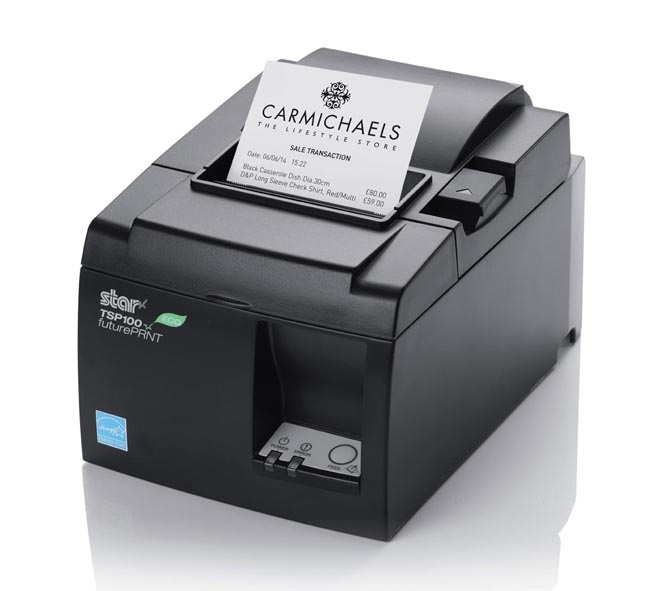 The high-speed thermal POS printer available today with ALL accessories and software included. Introducing the TSP100GT, the sophisticated addition to the TSP100 futurePRNT family. The TSP100GT brings all the attributes of the TSP100 including all parts and software being included in one box coupled with a print speed of 45 RPM(250 mm/sec). To get you set up quickly, we’ve included an internal power supply, USB and power cables, complete mounting kits and a paper roll.